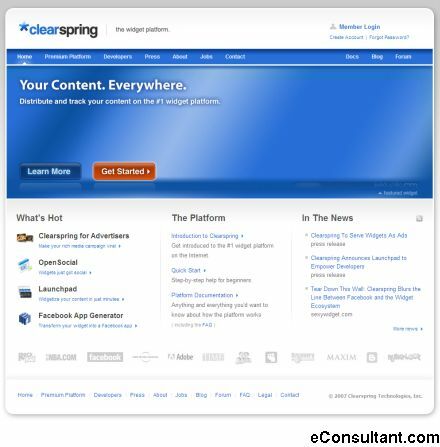 Description : Clearspring has developed the first platform to make widget syndication a snap! Using your existing content, you can extend your reach and engage the rapidly growing user bases of destinations like MySpace and Microsoft Live, unleashing new opportunities for marketing and monetization. Widget syndication is fundamental to your content distribution strategy. Clearspring can help you get there.